For Fabricators / Why Become An Aluplast Fabricator? A dedicated system designed for the UK from a global leading supplier with a commitment to service excellence. Our flagship product in the UK is the Ideal 70. We have taken 30 years of expertise at the forefront of innovation in PVC-U technology and distilled it into a technically advanced, energy efficient, fully sculptured 70mm system developed specifically for the UK. With slim sightlines, extensive choice of foils, an A+ BFRC rating and a pioneering eco option eco-tech 70, it’s a product and service offer designed to drive our customers’ growth. We bring German engineering to the UK window and door sector. The Ideal 70 and eco-tech 70 offer incredible flexibility built around a slim sightlined, fully sculptured five chamber energy efficient system. 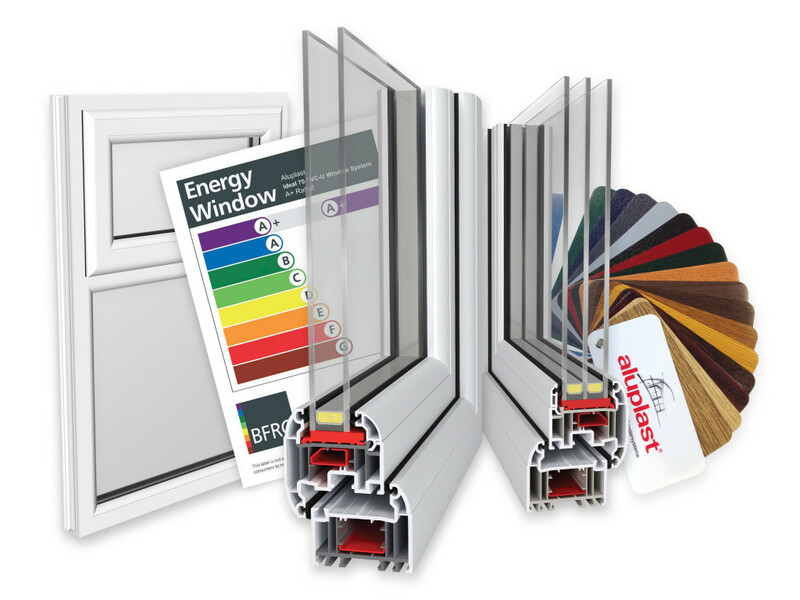 With glazing options running all the way from a 24mm to a flush fitting 44mm bead, double and triple-glazed options are easily accommodated to achieve a WER A+ rating. With dedicated tilt & turn, door, bi-fold, inline sliding and lift-and-slide patio systems, in addition to casement and French window options, Ideal 70 brings cutting edge innovation to the UK. Our dedicated UK operation is based from a purpose-built warehousing unit in Tewkesbury, Gloucestershire. We hold thousands of metres of profile and ancillaries in stock. With stock foils available on your next order and just 15 working days on special orders with no set up costs, we also offer one of the UK’s most competitive foiling services. We are a UK-only business, with UK customer service, support and technical teams and supply one of the world’s most technically advanced PVC-U systems, developed by a systems house at the forefront of global innovation. That’s a pretty powerful combination. It gives us a premium technically advanced product and the scale to offer it competitively without compromising on quality. This is underpinned by service and support from an experienced team of UK window industry professionals.